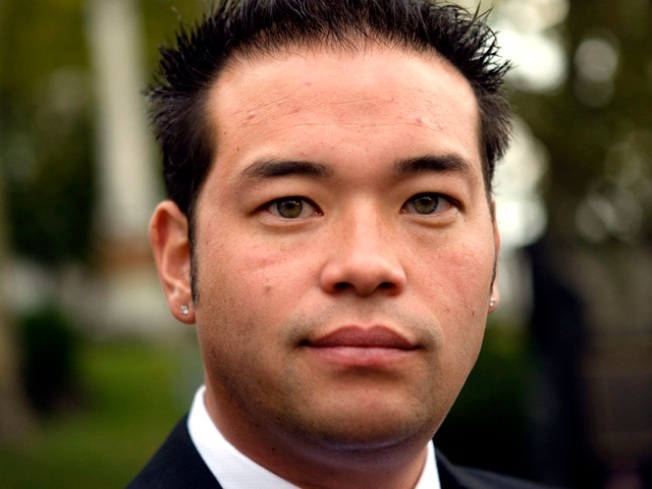 Jon Gosselin is seen after he exited the Montgomery County courthouse in Norristown, Pa., Tuesday, Oct. 13, 2009. Hollywood D-lister Jon Gosselin has walked off the red carpet, climbed a storage building, and started installing solar panels. The “Jon and Kate Plus 8” dad and former computer technician is in his home state Pennsylvania these days, working construction for a company called Green Pointe Energy. In photos published by TMZ, the pudgy reality TV star is seen sitting on the roof of a building in a white hard hat, smoking a cigarette and checking his Blackberry. Apparently, the 33-year-old Gosselin has always wanted to go green. In a 2009 episode of the show that made Gosselin “famous,” he and wife Kate had solar panels installed on their home and replaced their lightbulbs with eco-friendly LED bulbs. The pair also built a picnic table from reclaimed wood. That same year, Jon and wife Kate split after she learned of his affair with a school teacher. Gosselin, who had been unemployed for months, first showed he wasn’t flush in April 2010 according to TMZ. Jon bought the used M3 last year for $30,000.